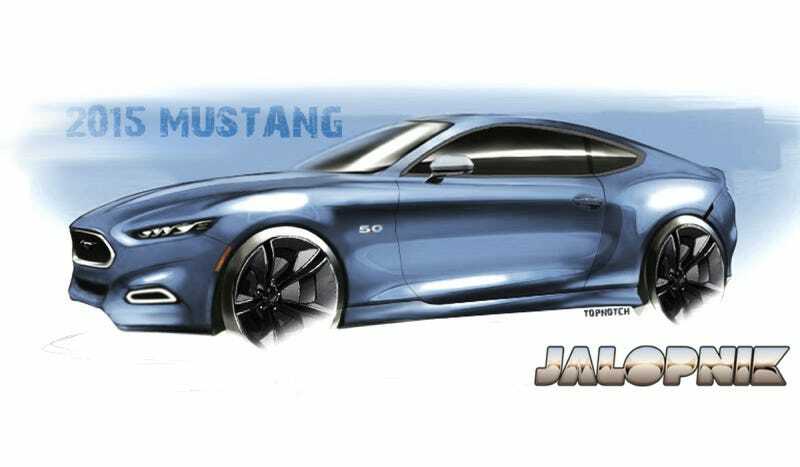 Remember this week when reports surfaced that the next Ford Mustang will have an available 2.3-liter four-cylinder turbo engine, but only in Europe? That may not be the case after all. Fans of the Mustang SVO, rejoice! Road & Track says that they have confirmed that the U.S. will get a turbo four-banger Mustang featuring a larger version of the engine from the Ford Focus ST. That engine should have at least 300 horsepower, making it something of a modern-day successor to the coveted Mustang SVO from the Fox era. Ford precedent shows that in other cars and crossovers offering an EcoBoost mill, it's positioned as a premium upgrade, whether you're talking about the Fusion, the Escape. the Explorer, and so on. And with that in mind, the speculation can get fun. Bet on the base 305-horsepower 3.7-liter V6 sticking around as the lowest-cost entry point for Mustang buyers. That means the EcoBoost is likely to come in at over 300 horsepower, as it's unlikely Ford could otherwise sell Americans on a less powerful four-banger as an "upgrade," despite the attendant benefits related to fuel economy. The V8 will remain the range-topper in the GT, as well it should. So now we have Edmunds and other outlets saying we won't get the four-banger, and R&T saying we will. Frankly, I'm inclined to go with the latter — it fits better with the global "One Ford" strategy, and if Ford really does have a potent engine on their hands with this turbo four, why wouldn't they sell it in the Mustang's home country? Last time, many of you said it's V8 or bust when it comes to the 'Stang. Does this change your mind at all? I'm not saying it's the one I would buy if I were in the market for one, but a light, powerful, tuner-friendly Mustang sounds like it could be a lot of fun to me.